During the Cr4 fishing tournament in Cape Breton, we had prizes to give out. One was for (Most Persisted Angler), for the angler who just wouldn?t give up. A New Brunswick group that is asking hunters to donate any leftover deer meat to help feed the less fortunate based on a similar program in the U.S. They distribute venison to soup kitchens throughout the province. Caroline Trueman, executive director of the organization, started the program last year after receiving approval from the Department of Natural Resources (DNR). Last year the group collected more than 725 kilograms of venison. Check them out //www.fhfhcanada.org/index.html . This year?s winner was James Farrell who would stay out all day fishing if allowed. 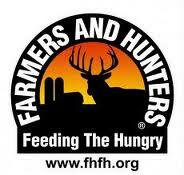 If you get a chance help out the FHFH in your area, because we all got to eat sometime.